For the last two years, I've started a long row of cucurbits under quick hoops in mid-April, three weeks before our frost-free date. My very unscientific method of deciding which varieties got to be included in the early planting involved asking Mark, "Which kinds of cucurbits are your favorite?" 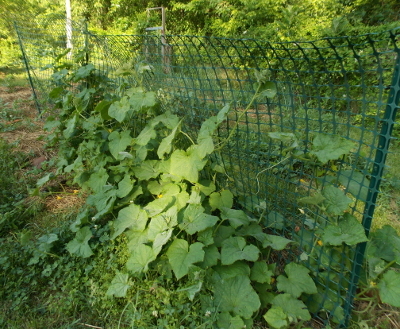 The result was a planting that contained two-thirds watermelons and one-third cucumbers. And the early planting really paid off on the cucumber front. We got to enjoy our first cucumber Saturday, and in a week or so I suspect we'll be overrun with these crunchy vegetables. Yum! 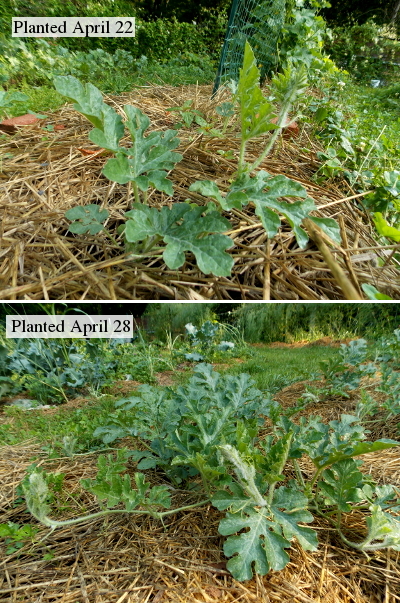 On the other hand, I noticed this year that the watermelon plants that I started under quick hoops are actually smaller than the ones I planted directly into the ground at the very end of April. We had some very cold weather during the intervening period (with a low of 23 recorded one night), and it now appears that the chilly weather resulted in sulky melons. 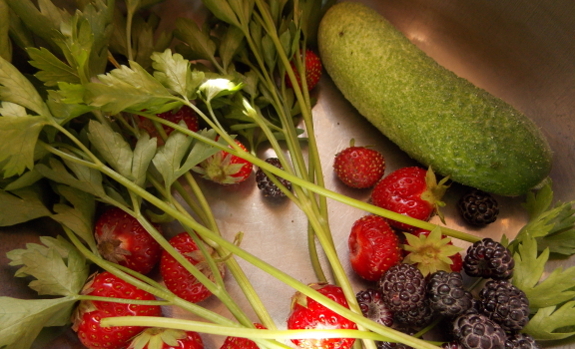 That got me thinking that perhaps I should jump the gun on some other summer vegetable next year instead, saving the watermelons to go into the ground when it's a bit warmer. Perhaps green beans or summer squash? Which types of summer vegetables have you had good or poor luck with starting extra-early under frost protection?